The majority of children in Ireland start school at either 4 or 5 years of age. Your child must be at least 4 years of age at the start of the school year (September) to enrol in primary school. Here is what you need to know about your child’s school attendance. What should I do if my child cannot go to school? You must tell the school that your child cannot attend and say why. Write a short note to the school to explain why your child was out of school and send it in with your child when they go back to school. Generally, there are good reasons why a child is missing school (e.g. illness). Keep in regular contact with your child’s school to explain why your child is absent and, where appropriate, provide medical certificates. What will the school do if my child misses a lot of school? 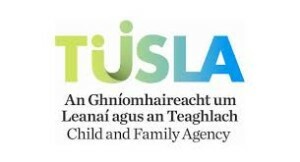 The school must tell the statutory Educational Welfare Services of the Child and Family Agency if your child has missed 20 days or more in the school year, or if it is concerned that your child is missing too much school. What we must do if your child misses a lot of school? If a school tells us that your child is missing too much school, an Educational Welfare Officer (EWO) will work with the school and may visit you to see how we can help to make sure that your child attends school more often. Can I take my child on holidays during term time? Taking a holiday during term time means that children miss important school time. It will be difficult for them to catch up on work later on. As a result, they may fall behind with school work and lose confidence in their abilities. We strongly advise parents do not take their children out of school for holidays during term time. Can I be taken to court if my child doesn’t attend school? If you are a parent or guardian of a child aged between 6 and 16 you have a central role to play in ensuring that your child does not miss out on his or her education. 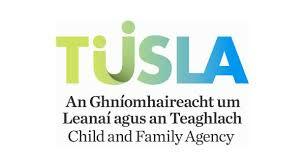 Under Irish law you must ensure that your child attends school or otherwise receives an education. We will help parents in whatever way we can to ensure your child gets an education. However, parents who refuse to co-operate with the EWO regarding their child’s school attendance (or fail to register with the Educational Welfare Services of the Child and Family Agency if they are being home educated or in receipt of an education in a ‘non-recognised school) can be taken to court and fined or imprisoned. Legal action of this kind only takes place in exceptional circumstances and forms a very small part of the Board’s work. At what age can my child leave school? The minimum school leaving age is 16 or after three years of post-primary education, whichever is later. My child is refusing to go to school. Where can I get help? Sometimes young people refuse to attend school despite the best wishes of their parents. There are often underlying reasons behind the young person’s decision not to attend school and parents often feel powerless to help their child. If your child is refusing to attend school and you need support, contact us and an Educational Welfare Officer will get in touch with you. A school has refused to enrol my child – what can I do? If a school refuses to enrol a child, for whatever reason, you have the right to appeal the decision to the Secretary General of the Department of Education and Skills under Section 29 of the Education Act 1998. My child has been suspended or expelled from school. What can I do? If a school decides to suspend or expel your child and if you are not happy with the school’s decision, you can appeal it to the Secretary General of the Department of Education and Skills under Section 29 of the Education Act 1998. You can get more information about appealing decisions on enrolment in Primary Circular 22/02 Appeals Procedures under Section 29 of the Education Act, 1998 and in the Appeal Procedures document. See the parents’ section of the Department of Education and Skills’ site www.education.ie for further information. You can also contact us and an Educational Welfare Officer will offer you support and assistance. Your appeal is heard by an appeals committee set up by the Department of Education and Skills. In most cases, appeals are dealt with within 30 days. The Department may give directions to the Board of Management of the school to resolve the matter. The appeals committee will issue a decision in all cases heard. Click here to download ‘Don’t let your Child miss out’ parent leaflet. Parents and schools can contact the EWOs directly if they have a concern about a child’s education. Click here for information.